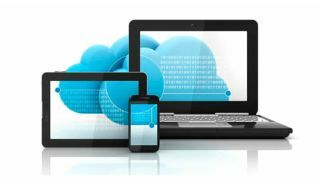 BYOD, or “Bring Your Own Device,” is a hot topic with perennial relevance in AV systems design and management. Depending on who you ask, the “D” in BYOD can represent a number of different devices. Most commonly used to represent smart phones and tablets, with regards to AV infrastructure, laptops should also be included in the conversation. The dividing line isn’t necessarily what makes a device personal, but whether that device is integrated into the AV system in question, or is temporarily interfacing with it. More than 40% of employees are utilizing their own devices at the workplace, according to statistics recently released by Extreme Networks, and that figure is expected to grow every year. A mission critical control room will have HD or UDH displays, control systems, and human interface tools that are permanently integrated and never leave the room. They will be purpose-built for those functions needed in the control room and not configured for other uses. While this can include computers and tablets, for access to content and calling up data, for example, if those devices are dedicated to the control room, they are not in the category of BYOD. Individuals who utilize BYOD in a mission critical control room may need their own devices either because they have content they need to share that is not easily accessed without their device, or they may be authorized guests who need to share content with others within the environment. “BYOD has been proliferating across almost every space, and we’ve seen most manufacturers starting to take an app or cloud-based sharing approach, utilizing built-in security protocols and firewalls in iOS or Android OS, or by tunneling through their own cloud systems and using small download plug-ins on PC’s,” said Malik Khan, senior vice president for design and integration for ANC. Access to the infrastructure that allows display only, such as HDMI or DVI-I connection, is typically not a security concern. These are one-way, video only connections. Another way to provide access is through IP, whether hardwired, or over WiFi. This is what creates a security consideration. As smart phones and some tablets do not have video outputs, one of the most common ways to share content from them is over IP networks. According to Markets & Markets, BYOD in US enterprises will grow from $35B in 2016 to $73B in 2021. Control rooms, even mission critical control rooms like traffic monitoring centers, government command centers, industrial control centers, and medical telemetry centers have not and will not be left out of the BYOD trend. Considerations that apply to all BYOD access will apply to control rooms, but with a bigger focus on stability, reliability, and low latency. Justin O'Connor, AV Technology magazine's Technical Advisor, has spent nearly 20 years as a product manager, bringing many hit products to the professional audio world. He earned his Bachelor’s degree in Music Engineering Technology from the Frost School of Music at The University of Miami. Follow him at @JOCAudioPro.